Telegram is a popular Instant Messenger application. Also, it is very feature-rich than WhatsApp. But the most popular chat application is still WhatsApp. WhatsApp is fully closed-source and it does not allow any user-modifications. On the other hand, Telegram client is open-source and Telegram Bot APIs are a powerful tool to build our own applications on top of Telegram. Mirroring the conversations between WhatsApp and telegram is possible by setting up WhatsApp Telegram Bridge Using wat-bridge bot. Are you a Telegram fan? Want to detach yourself from WhatsApp? Or do you want to read WhatsApp group messages in Telegram group? Then you are at the right place. 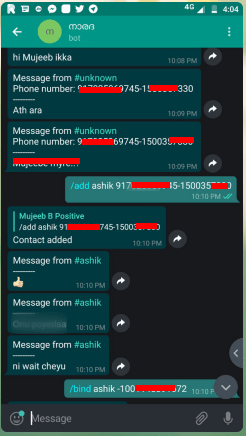 WhatsApp as of now is not allowing user-bots at all. But a CLI library called Yowsup can do the tricks. It actually acts as a WhatsApp API. A user could register a mobile number with WhatsApp and chat using that number with Yowsup. We could also automate some messaging tasks this way and thus it becomes to act like a user-bot. Rafael Medina (rmed) created a Telegram WhatsApp bridge using Yowsup and Telegram bot. You can find the wat-bridge repo here. 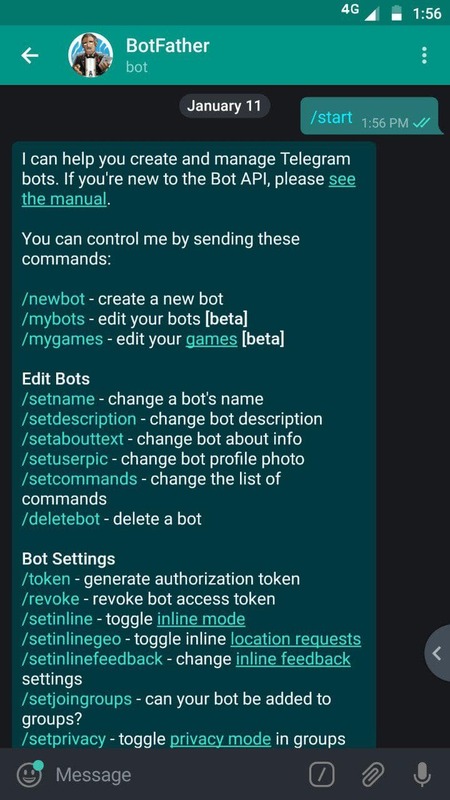 This bot basically interacts with WhatsApp accounts and it could be used to bridge groups too. A fork of wat-bridge is capable of solving the above-mentioned cons. This fork can overcome all the issues that the original bot has. The modified bot is available in the repository here. But getting media files from WhatsApp is in pre-alpha stage and you will need some additional works to do with the server. WhatsApp number, Telegrambot, Now go to this part of the tutorial to connect groups. As the fork having more features but media file transfer isn’t in a good condition to test. So I am using the official repo here. You can also test the forked one if you are interested, it’s just that the cloning step is different. Now that we have installed yowsup, let’s register a phone number using yowsup. NB: This number may get banned by WhatsApp, so use at your own risk! Also, don’t use your primary WhatsApp number for this, use a number which isn’t registered with WhatsApp yet. Provide phone number, CC, MCC & MCN. CC is the Country pre, you can know more about MCC and MNC from here. Now you will get an OTP to your number. Use that OTP in the next step for registration. Now you will receive a password. Store this password anywhere securely. Yes, you are done! The bridge will be running now. Now both groups are linked. Now both the groups should be linked and you are all done! Latest pre contains media support which needs to be documented, for developers I suggest to checkout to previous commits for better results. Bonus: You can also bridge Telegram with Riot (A popular Matrix client) as mentioned here! it says command not found…. what can I do? Is there a video tutorial for the setup? First you install pip for python before trying it. I copied the development.conf file manually and renamed it to config.conf. Is that correct? Also, I can’t run the bot when I type WAT_CONF=config.conf python watbridge.py.